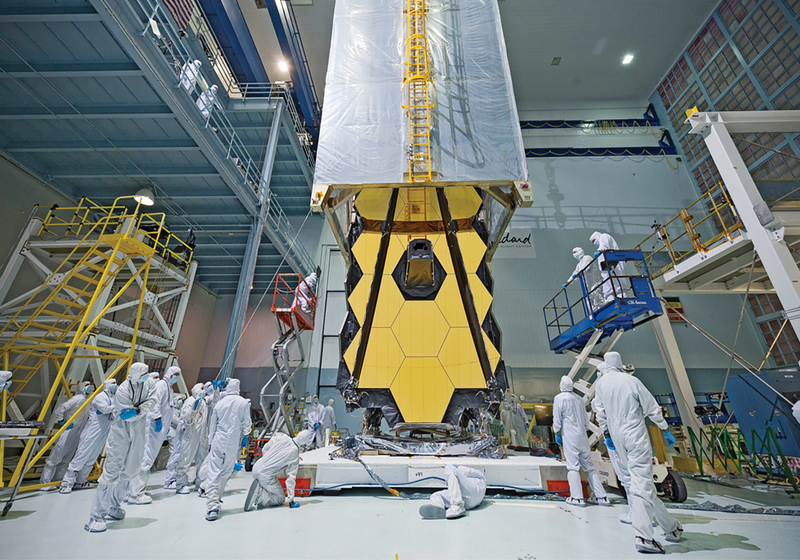 The James Webb Space Telescope (JWST) is a giant step forward in the quest to understand our place in the Universe. 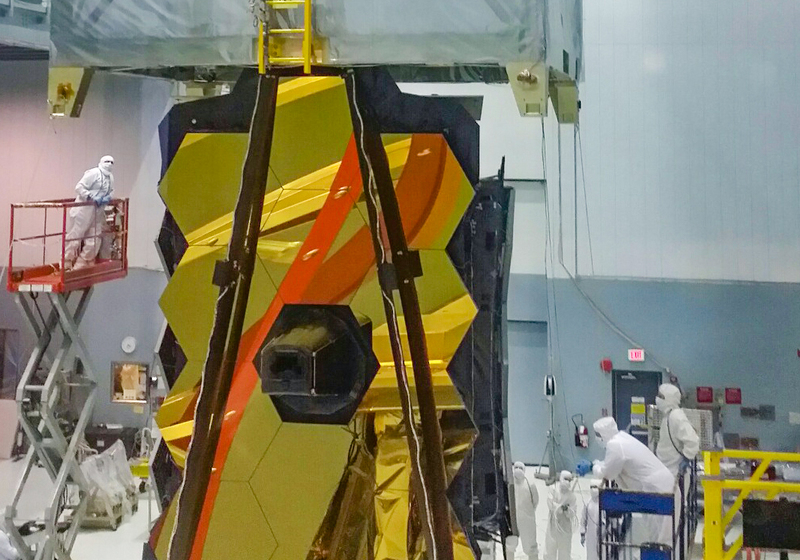 However, before launch, it had to be tested at the NASA Goddard Space Flight Center in Greenbelt, Maryland to assess its ability to survive the vibration it will encounter on the Ariane 5 rocket. This was no small task. 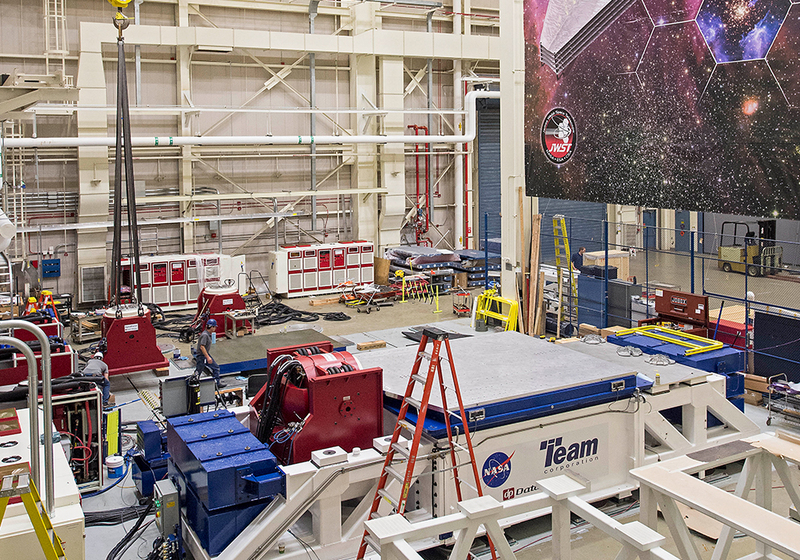 The size and weight of the Optical Telescope with the Integrated Science Instrument Module (OTIS) is such that a specially designed test system was required. 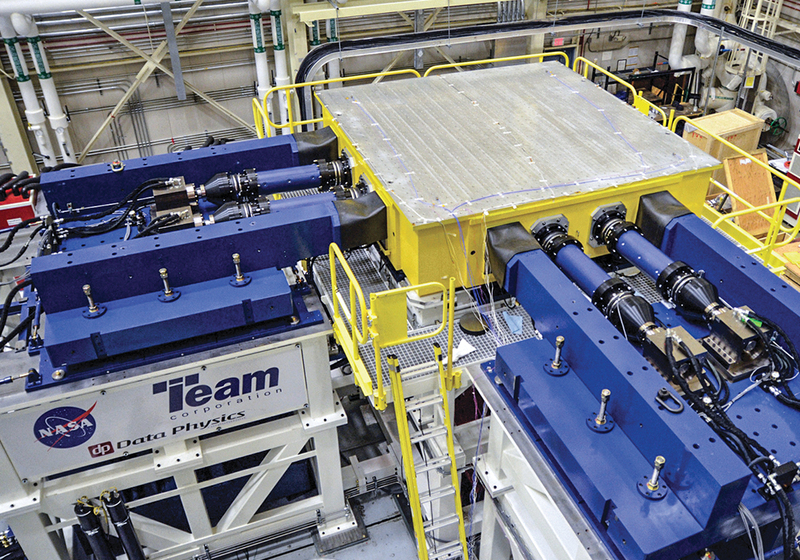 Major aspects of the vibration test system are a guided head expander and a guided slip table, both capable of resisting large overturning moments. 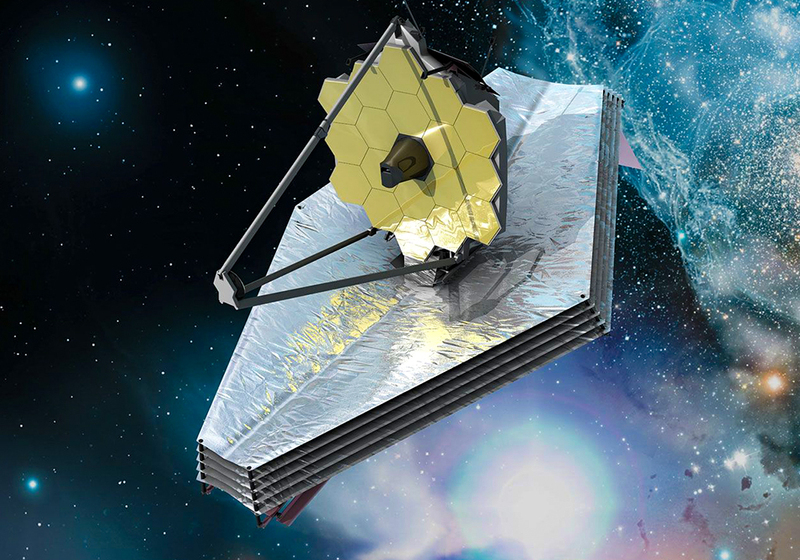 The test systems were supplied by NVT Group companies Team Corporation and Data Physics. Shaking the OTIS in the vertical direction required a specially designed guided head expander weighing approximately 25,000 lbs and standing approximately 8 feet tall. 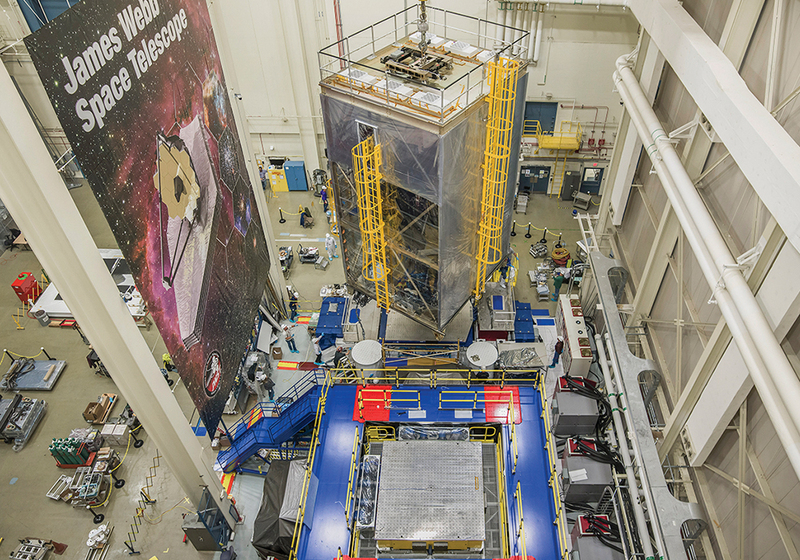 The entire moving mass comprising the payload and the head expander required two shakers working in tandem to generate the required forces. Team Corporation supplied a guided head expander system for vertical testing and a slip table system for horizontal testing. Data Physics supplied two SignalForce 50,000 lbf shaker systems controlled by a SignalStar Matrix dual-shaker controller to power the vertical test system – as well as a SignalForce 50,000 lbf shaker controlled by a SignalStar Vector controller to drive the horizontal test system.